Do you have itchy skin rashes that suddenly appear all over your hands, feet, and face? What could have caused it? Is it stress? Lack of sleep? Diet? Age? Or dry skin? The cause is very often unclear, but believe it or not, things that you never thought may cause rashes can actually be the problem. In this article, we'll let you know the latest information on how and why skin rashes occur and what you can do about it. 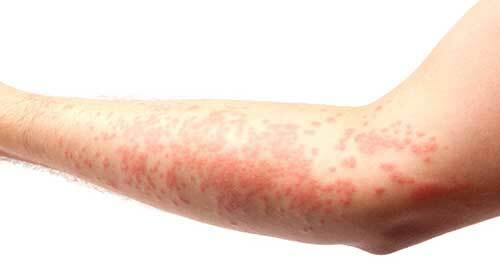 Skin rash usually appears from just a few minutes to few hours upon contact with a certain allergen. Sometimes it occurs after 1 to 2 weeks of contact or exposure to the allergen. In some cases, the rash will develop much more quickly after later contacts. 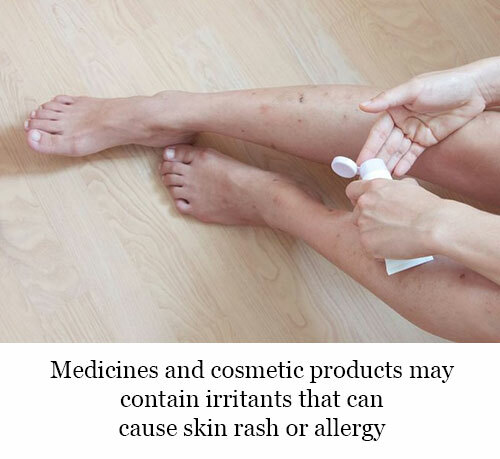 In addition, there are medications that can also cause rashes. If you are using eye drops that contain substances that you are allergic to, it can cause itching, swelling, or rashes around your eyes. The same thing can be said with topical creams, which can cause skin rashes on hands, feet, and face. There are even times that some people cannot exactly determine the cause of their skin rash or allergy, since it occurred suddenly. Moreover, they have been using the same medications or cosmetic products for many years without any allergic reactions, yet they got a reaction later on. What could be the reason behind this? There Are Two Types of Rashes – "Sudden" and "Delayed"
Actually, there are two types of rashes. One type of skin rash develops suddenly, and the other type develops after a period of time. We'll call the first type "sudden rash", and the second type as "delayed rash" or delayed hypersensitivity reaction. Sudden rash are rashes that mostly occur after just a few minutes of exposure to an allergen with the skin. The most common type of substances that cause this include yam, bleach, and diaper rash. Delayed rashes occur after one day of contact to a certain allergenic substance or irritants. There are also cases wherein the itchiness only occurs after two weeks of exposure. Topical creams that include substances like ginkgo can trigger these types of rashes. The thing to remember here is that you should discontinue using a suspecting allergen, whether it is a cosmetic product, or topical cream for at least two weeks since symptoms may only occur after that time frame and not just within a day or few days. How Can I Suddenly Become Allergic to Something I've Never Been Allergic to Before? It is worth noting that there is also a type of delayed rash in which you are not allergic to a certain substance for a long time, but can suddenly cause you rashes one day. This phenomenon is known as sensitization. 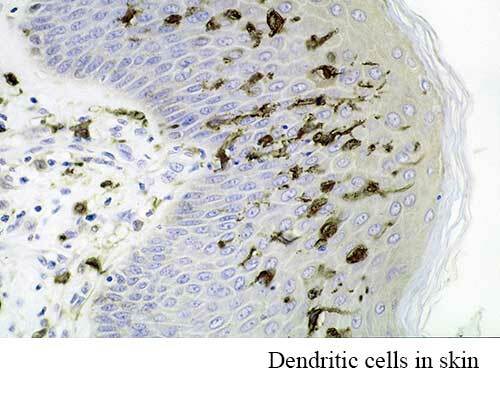 The underlying key here is the dendritic cells located on your skin tissues. When a foreign matter enters your body through the surface of the skin, the dendritic cells determine whether it is harmful or not. The dendritic cells do not do anything as long as the foreign matter is harmless. But if the material is suspected to be harmful, they migrate to the lymph nodes where the foreign material will be added to the "wanted list". We call this the "memory cells". Once this foreign object comes in, the body will enter into "battle mode" state. We call this the "adaptive immune response". However, in rare cases, there are times when foreign matters coming from the skin are regarded as harmful by the dendritic cells even though they aren't. This result to wrong immune response and the body will mount the wrong offense. That is why, even if you are not allergic to a certain substance, it can be considered an enemy by the body later on. There are many kinds of substances that cause skin rashes or allergy. Sometimes, it's hard to determine the cause of rashes especially if it occurs after one week to two weeks of exposure to an unknown allergen. Even worse, if you suddenly become allergic to something you've never been allergic before, then finding the specific allergen will prove very difficult. When symptoms develop, we suggest that you immediately begin by gradually eliminating the most common allergens one at a time. Stop using or avoid contact or exposure to the suspected substance for one week, or even two weeks if possible. If symptoms persist, proceed to the next suspected substance. If symptoms disappear, then you have found the unknown allergen. 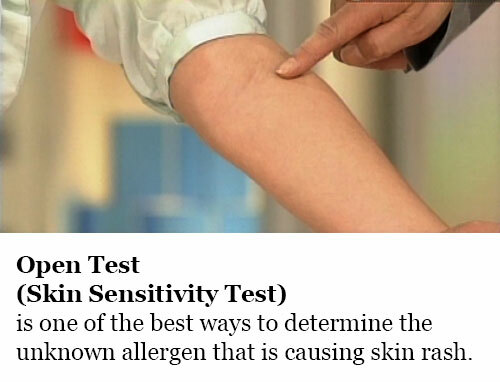 To determine if you are allergic to a certain substance, you can place the suspected allergen directly on your skin. From this, you'll find out if you have a reaction or not. You can do this by putting the suspicious substance twice a day to your skin like on the back side of your elbow. Make sure you follow the actual usage of the suspected allergen when putting it on your skin. For example, to know if you are allergic to a shampoo, put it in your skin with water. Important: If severe symptoms occur, we recommend that you seek medical attention. Medical institutions or dermatologists can also determine if you are allergic to a specific substance by performing a much more complex medical procedure. This method is known as " patch test ". 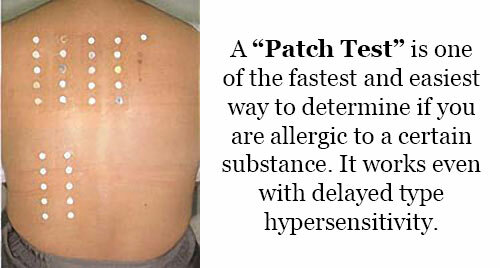 Patch test is usually done by placing diluted chemicals in a patch test kit and putting in on a small area of your back. The chemicals included in the patch are the usual offenders that cause skin rashes, which are present in metals, rubber, cosmetics, additives, etc. Allergic Reaction with Unknown Cause? For allergy with an unknown origin, the PYRO-ENERGEN electrostatic therapy machine can prove to be very effective. It is unknown if your allergy is not caused by any other common things like insect bites, food, drugs, plants, or other products. If you or your doctor still cannot determine the cause of your skin rashes or allergy despite doing the procedures in this article, you may be suffering from an unknown allergy. We recommend you to use the PYRO-ENERGEN therapy machine especially if you are having severe allergic reactions. After all, this "unknown allergy" may be essentially caused by the outside negative energy, which the machine can repel. 2. "Food Allergy - Diagnosis and Treatment"